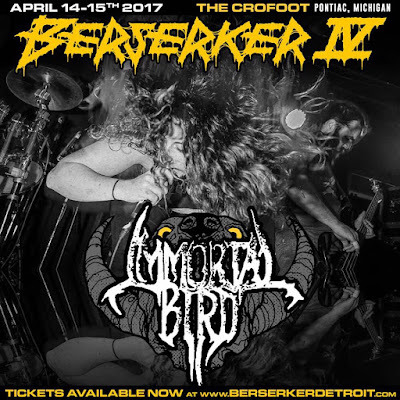 This Saturday night, April 15th Immortal Bird will be making their way to town from Chicago to play Berserker. 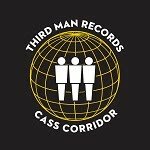 Although their Facebook page says that this band plays "Windy City Dream Pop", don't let that fool you. This band is about as metal as they come. Give their latest album Empress/Abscess a listen below. 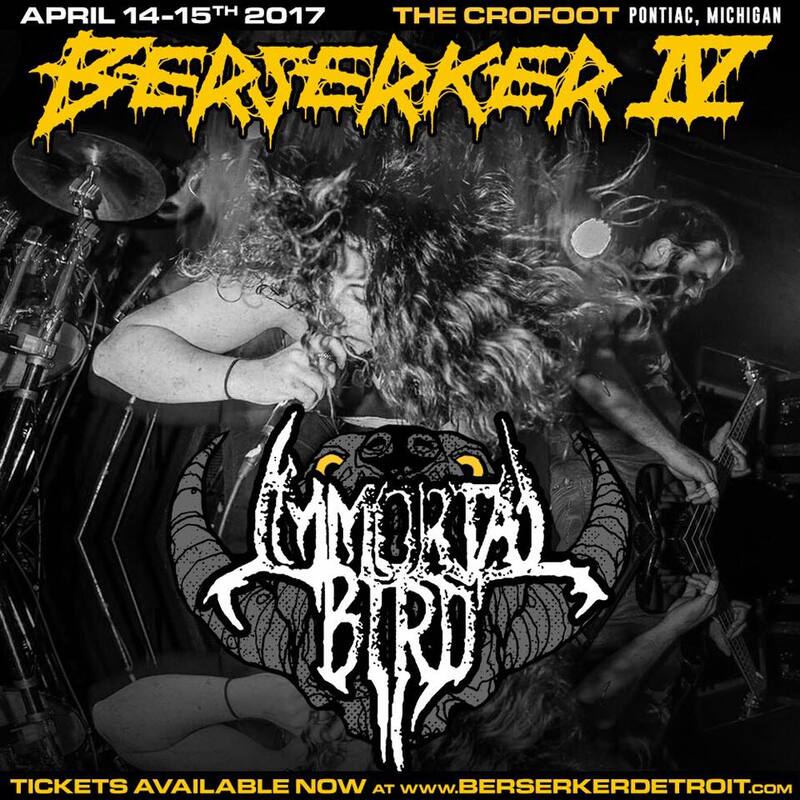 Then check out what Immortal Bird had to say in response to that same set of Berserker questions that we've been asking all of the awesome bands on the fest. You may even learn a useful fact or two if you make it all the way to the end! Immortal Bird- "Our guitarist has great hair and super blue eyes. Also we might throw candy into the audience." Immortal Bird- "Aside from the actual playing part, it rules seeing so many of our friends from all over the country. This fest in particular is also incredibly well put together, so we know when we get there it'll be clusterf*ck free!" Immortal Bird- "Absolutely! We're super stoked for GWAR, Brain Tentacles, Night Vapor, and Weedeater especially. We'll only be there on Saturday, otherwise we'd love to catch Eyehategod, Cemetery Piss, Negative Approach, and a bunch more on Friday." Immortal Bird- "Saprophyte" and "Ashen Scabland" are fun tunes to put on when you want to get sad/angry and punch a wall. Don't punch a window, though. It's not worth it. Immortal Bird- "Rush (THEY AREN'T DONE, THEY CAN'T BE DONE! 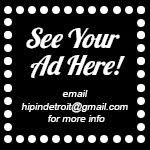 ), Dillinger Escape Plan, Emperor, and Godflesh." Immortal Bird- "Aux cable for the van tunes, more socks than you think you'll ever need, and Malort." Immortal Bird- "Bananas are curved because they grow towards the sun! 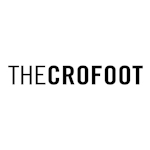 Also, in your lifetime, you will create enough saliva to fill two swimming pools."